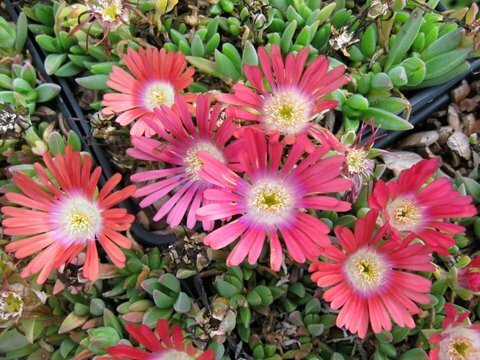 This is way to hot to be called an Ice Plant. Scarlet flowers scorch the foliage in summer and blaze with nary a care. Great sidewalk edger, rockery or container plant especially for those of you who delude yourselves into believing you really will water your containers. It's xeric.